It is written in Romans 15: 4For whatever was written in former days was written for our instruction, that through endurance and through the encouragement of the Scriptures we might have hope. 5May the God of endurance and encouragement grant you to live in such harmony with one another, in accord with Christ Jesus, 6that together you may with one voice glorify the God and Father of our Lord Jesus Christ. 7 Therefore welcome one another as Christ has welcomed you, for the glory of God. 8For I tell you that Christ became a servant to the circumcised to show God’s truthfulness, in order to confirm the promises given to the patriarchs, 9and in order that the Gentiles might glorify God for his mercy. Thus far the text. Let us pray: O Lord, You word is written for our instruction that we might have hope in You and harmony among each other. Grant us this hope and harmony; in the name of Jesus. Amen. Adam never read the Bible about his fall into sin. The account of Adam & Eve was written by Moses centuries later. What is written about Adam and Eve is written for our instruction. Noah never read the Bible about a worldwide flood and the ark he build. The account was written later for our instruction. Jesus never read the New Testament. He gave the words to be written to His evangelists and apostles who wrote but the New Testament was written after Jesus’ death and resurrection for our instruction. How are you instructed? You are instructed by the Lord through (the) endurance and through the encouragement of the Scriptures. You are instructed every time you hear the Holy Scriptures. You are instructed every Sunday through the public readings and preaching and Bible study. You are instructed every time you hear the Words of Institution which explains what you are about to eat and drink and why the Lord wants you to eat and drink and what it is that you publicly declare each time you eat and drink. You are instructed every Weekday reading of Bible. Your instructor is the Holy Spirit who has bound His work to the Lord’s Holy Bible. You endure week after week because the Lord is the Lord of endurance. You are encouraged week after week because the Lord is the Lord of encouragement. This advent season, hear the Voice of your Savior in what is Written for your instruction. Today, the Lord is promising you two gifts. The first gift is hope. The common dictionary defines hope as a feeling of expectation and desire for a certain thing to happen. Hope is defined as a feeling of certainty; a feeling of trust. How is this hope received? Hope is received through endurance and through the encouragement of the Scriptures. Do you doubt the Lord’s no in His good Law? Do you doubt the Lord’s yes in His good Gospel? Do you doubt that the Lord does not hold your sins against for Christ’s sake? Well, tis the season of Advent to repent of this doubt that so easily entangles and hear the Scripture again. Cast your doubt upon Jesus and believe that Jesus is the Christ. Cast your doubt upon Jesus and put your faith in His death and resurrection to save you. Hear again the encouragement Jesus gives you in His Scripture. Hear again the encouragement He has for you in those same Scriptures. Remain hearing Jesus and He will grant you hope in Jesus through endurance and encouragement of the Scriptures. For this is the work of God; that you believe in Jesus (John 6:29). The second gift for you today is harmony with one another. How is harmony with one another received? Harmony with one another is received through endurance and through the encouragement of the Scriptures. Do you doubt divisions in Christianity can be healed? Do you doubt family conflicts about faith in Jesus have no end? 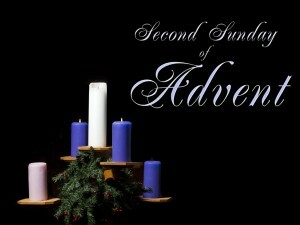 Well, tis the season of Advent to repent of this doubt that so easily entangles and hear the Scripture again. Hear again the encouragement Jesus gives you in His Scripture. Hear again the encouragement He has for you in those same Scriptures. Remain hearing Jesus and He will grant you harmony with one another through (that) endurance and encouragement of the Scriptures. For this is the work of God; that you believe in Jesus (John 6:29). Faith in Jesus is the source for both your hope in the Lord and harmony with your neighbors. The apostle Paul blesses His hearers, saying 5May the God of endurance and encouragement grant you to live in such harmony with one another, in accord with Christ Jesus, 6that together you may with one voice glorify the God and Father of our Lord Jesus Christ. This issue of harmony was important to the Lutheran Reformers. They did not want to give up their hope in Christ for the purpose of harmony. But they did want to live in harmony within the church of the past, present, and future. They wrote a book called the Book of Harmony. You know it better by its Latinized name: The Book of Concord. They wrote:  We take no pleasure in discord (disharmony), nor are we unaware of our danger, the extent of which is evident from the bitter hatred inflaming the opponents. But we cannot surrender truth that is so clear and necessary for the (hope of the) church. (Finally), we pray that Christ will help his afflicted and scattered churches and restore them to a godly and lasting concord (harmony). Do you hear their desire for concord; for harmony? Our Savior Lutheran Church is one of about 6,000 churches that desires harmony in Christ with other Christians. Concordia Seminary in St. Louis. Concordia Theological Seminary in Fort Wayne. The Concordia Universities. All of them teach what the Lord has written for our instruction. The day they lose hope in what is written will be a sad day for harmony among church bodies near and far. Our Savior Lutheran Church is you. People instructed in what is written. People who believe in Jesus. You have hope in Christ. You have harmony among one another because you are in Christ. I encourage you to continue to endure and find encouragement in the Scriptures. This is how your hope in Christ and your harmony among one another will remain. Finally, it is written: welcome one another as Christ has welcomed you, for the glory of God. I am proud of all of you. You have a reputation in the community as a warm and welcoming congregation. People stop in for service. They go away amazed at how kind you are to them. Not every Christian congregation has this reputation. Why you? I am convinced it is because you continue to endure and find encouragement in the Scriptures; in the name of the Father and of the Son and of the Holy Spirit. Amen.